Ambassador Nikki Haley says her country is reevaluating its approach to North Korea following its latest missile launch. The United States is reevaluating its approach to North Korea after the country launched five ballistic missiles earlier this week, UN Ambassador Nikki Haley said on Wednesday. 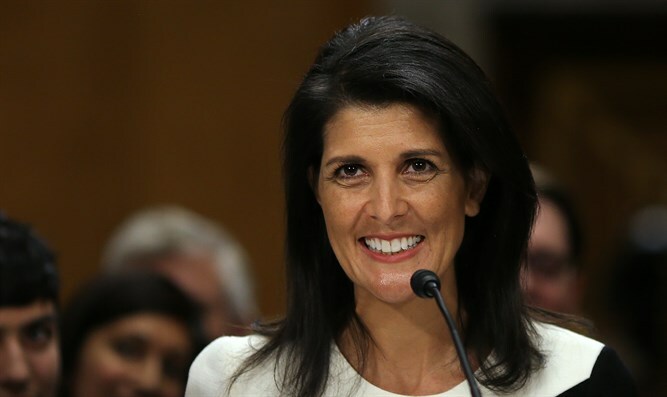 "We are considering every option that's on the table," Haley was quoted by ABC News as having told reporters at UN headquarters following a Security Council meeting on North Korea's latest provocation. "We're not ruling anything out," she stressed. Haley would not comment directly about a recent New York Times report which said the U.S. would consider striking North Korean nuclear sites. Pyongyang this week fired ballistic missiles into the sea off Japan's northwest coast. The isolated country’s official news agency later claimed the firing was a training exercise for a strike on American bases in Japan, adding that leader Kim Jong-Un personally supervised the drill. On Tuesday, the Security Council condemned North Korea's recent ballistic missile launches and expressed concern over the country's increasingly destabilizing behavior. Haley said on Wednesday that in addition to following through on existing sanctions, UN members need to "increase their strengths" in terms of alternative options for "getting the attention of North Korea as we go forward." "The global community needs to understand every country is in danger from the actions of North Korea," she was quoted as having said. Several weeks ago, North Korea tested a ballistic missile from the Banghyon air base in the western province of North Pyongan. The test came a month after Kim said that the country was close to test-launching an intercontinental ballistic missile (ICBM). State media later said such a launch could come “at any time”.